Midsummer. People were running in Slavic clothes. 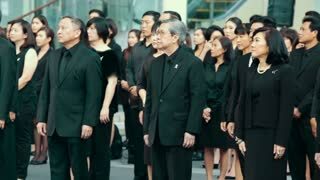 Thailand Bangkok November 20 2016 A large number of people in black clothes at a mourning ceremony. See off the last journey of the monarch in Thailand. 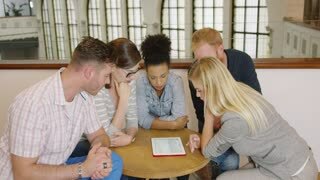 Group of young people in casual clothes sitting around table and looking through list of new ideas by using tablet.